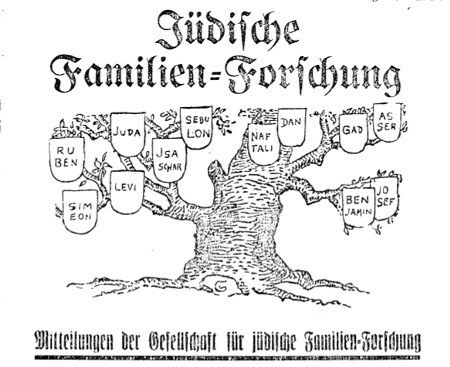 Endogamy, or marriage within a group, is typical of societies that have geographical, religious or cultural limits. Many of our ancestors lived in societies that had both religious and geographical limitations so that marriage between cousins was common. 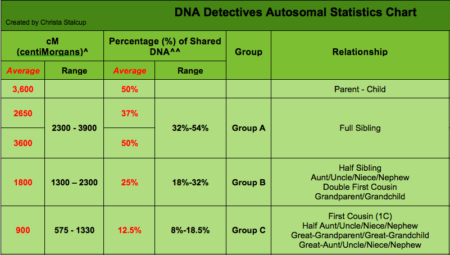 This makes the analysis of relationships using DNA analysis very complex. Our own David Trost will guide us in understanding this topic and show how by analyzing the amount shared DNA we can determine who our relatives really are, even in the presence of endogamy. In August 1923, my grandmother, Ida Hasenson, left Riga for South Africa. 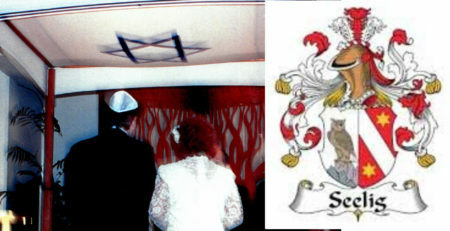 A month later, in Cape Town, she married Morris Thal, a man who was 22 years older than her. Six or seven years later, she divorced him, later to remarry. 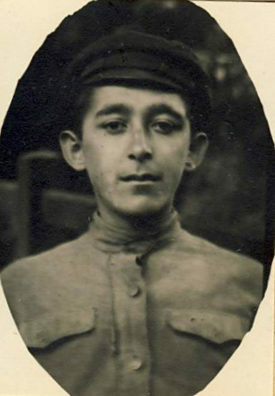 Morris Thal, my grandfather, died in 1947, four years before I was born. The circumstances of Ida’s marriage to Morris have always been a family mystery. My grandmother did talk to me about her life before leaving Riga, but never said much about my grandfather. Only recently have some the other parts of our conversation begun to make sense to me. Recently, I have tried to reconstruct, as best I can, the story and circumstances of Ida’s marriage and her life. I have some family photographs and a memoir written by Ida’s sister Manya. This memoir was written after my grandmother had died, and there are only two very brief references to her in the memoir. I recently managed to get some more documents and family stories, in an attempt to uncover my grandmother’s secret. In this talk, I will tell the story of my grandmother’s failed marriage, as far as I have been able to discover it. I will also describe, and show, some of the material about her that I was able to collect. 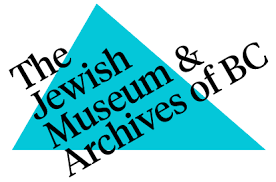 Michael Levy is on the executive of the Jewish Museum and Archive of British Columbia. He has lived in Canada since 1975. Before moving to Vancouver, he was a professor of Computer Science at the University of Victoria. He also served a term as president of the JCC of Victoria. In 2005, he and his wife moved to Vancouver. He worked as a Software Engineer for Apple until he retired. Vancouverite Roger Seelig and his family, partly inspired by the discovery of a Seelig family crest that contains two six-pointed stars, began the research into their genealogy that ultimately changed their lives. Please join us to hear this story of a complex family history; an identity lost and, finally, an identity found. On March 15, 1939, Helen Waldstein Wilkes’s father snatched his stamped exit visa from a distracted clerk to escape from Prague with his wife and child. As the Nazis closed in on a war-torn Czechoslovakia, only letters from their extended family could reach Canada. The Waldstein family received these letters as they made their lives on a southern Ontario farm, where they struggled to make a living in their adopted country and to maintain their silence about their past. At age 60, Waldstein Wilkes opened a small box that was left by her father in their southern Ontario home. The box held “letters from the lost” – letters from family members left behind in Nazi-occupied Czechoslovakia. The author followed the letters’ trail back to Europe to discover that “the lost” – homeland, past and family – are an inseparable part of her. Her imaginary conversations and the search for answers as she probes beneath the surface of her own life and that of the norms and values that shaped her reality are interwoven with the letters to constitute a book that was nominated for five book awards. Helen Waldstein Wilkes, PhD, is an energized octogenarian who has lived a richly rewarding life. Helen fled the Nazi’s with her family in 1939 and came to Canada where they struggled to adapt as farmers. Helen was educated in Canada but earned her doctorate (Renaissance French literature) in the U.S. She spent 30 years teaching and developing research interests that include cross-cultural understanding, language acquisition, and neurolinguistics. 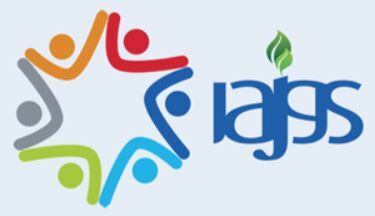 Gloria, a local genealogy researcher, attended the 38th IAJGS International Conference on Jewish Genealogy that took place in Warsaw, August 5-10. She will tell us about it and discuss the highlights of her time at the conference. Part 1 (How Did Jews Get To Europe? ): We will first explore the main Jewish migration patterns from Antiquity through the 10th century. 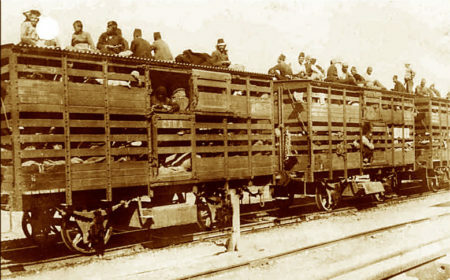 We will discuss how Jews reached the land of Israel, where they resettled after multiple expulsions, and under what conditions they lived. As part of this, we will also discuss the dividing line between Antiquity and the medieval era, and its ramifications on future Jewish settlement and living conditions. 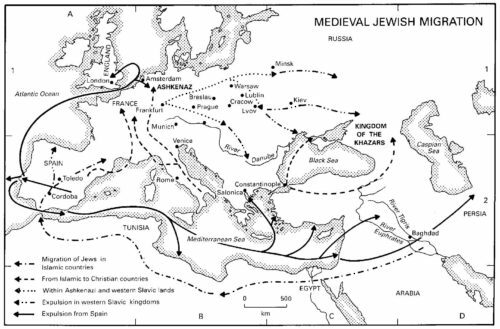 Part 2 (Spain and Germany): We will explore patterns of Jewish migration between the 10th-14th centuries, as major Jewish centers emerged in Spain, Germany, France and Italy. We will use Spain and Germany as case studies to understand the conditions within the Jewish community, setting the stage for the eventual shift toward Eastern Europe (the derivative centers). By understanding the Jewish migration patterns, and the circumstances under which they lived, we will be granted a deeper appreciation of our collective Jewish heritage and family history. Avraham will also discuss recent and future developments at JewishGen.org, where he has been Director since Feb. 2017. Prior to this, he has served JewishGen in a variety of roles since 2008, including Administrator and Senior Director of Business Operations. Avraham holds an MBA from Montclair State University and an MA in Judaic Studies from Touro College, among other degrees. On our first meeting of the 2018/2019 season we will have an open discussion of genealogical research progress and challenges. Please come and please be prepared to discuss one or more research achievements or problems you have run into. Please note that our October meeting will be on a different date: Tuesday, October 9. This is to accommodate our speaker Avraham Groll for his presentation “Jewish Migration Patterns”. Avraham is director of JewishGen. Sometimes tracking one’s immigrant ancestors tests all one’s research acumen. Identifying a subject ancestor, his/her origins, and parentage; tracking that subject through time and space; and constructing a biography to place that person in his/her social context is best approached by broadening one’s research to include family members, associates and neighbors. 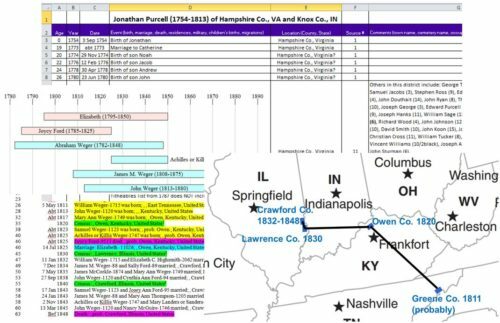 This presentation will outline a program for solving genealogical research problems via cluster and collateral research techniques. Topics will include: appropriate application, research planning, commonly used resources and documents, and case studies successfully tracking individuals from Europe to the United States, overcoming name and residential changes and using DNA evidence. Emily Garber (M.A.) is an archaeologist by training and has been researching her Jewish ancestry since 2007. She holds a certificate from Boston University's Genealogical Research program. In 2013 she traveled to Ukraine to visit archives and family villages. Emily is Chair of the Phoenix Jewish Genealogical Society and a board member of the Arizona Jewish Historical Society. She has served for several years as one of the moderators of the JewishGen Discussion Group and is communications director of the Ukraine Special Interest Group. This lecture will describe the lives of three women in Brunswick, Germany – the great-grandmother, grandmother, and mother of the lecturer – whose experiences reflected the changing circumstances of Jews during three generations of German history. Auguste Herxheimer spent most of her adulthood as the prosperous wife and then widow of a successful businessman, but after 1914 she experienced the gradual collapse of a once secure way of life. Her daughter Ella Bruell suffered a series of hardships both as a single mother and as a Jew. 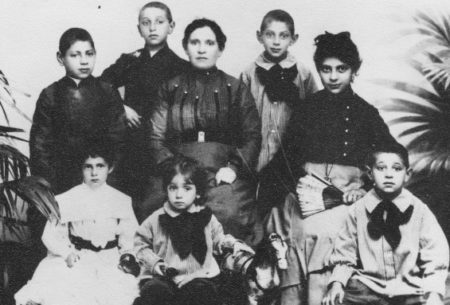 Ella’s daughter Nellie faced the future with optimism until everything changed for Jews in Germany after 1933 and she had to create a new life for herself far from her beloved German hometown. Chris Friedrichs will retire this year after 45 years of teaching history at the University of British Columbia. He is a specialist in the history of urban life in Europe and the history of Jews in Germany. His most recent book is A Jewish Youth in Dresden: The Diary of Louis Lesser, 1833-1837 (University Press of Maryland, 2011). Note: This meeting is on May 8, the 2nd Tuesday of the month. All welcome. Janice Sellers, a cousin of member Esther Weinstein, will give a presentation on the effect of copyright law (and abiding by it) on genealogy research -- issues to watch out for, and how to do it right. Janice Sellers is a professional genealogist (www.ancestraldiscoveries.com), who specializes in Jewish, black and forensic genealogy, and the use of archival newspapers for genealogy research. She edits two genealogy publications: "ZichronNote", the journal of the San Francisco Bay Area Jewish Genealogical Society (SFBAJGS); and "The California Nugget" from the California Genealogical Society. She is the programming and publicity director for SFBAJGS, and a board member of AAGSNC and the California State Genealogical Alliance. She has been on the staff of an LDS Family History Center since 2000; currently at the FHC in Gresham, Oregon. 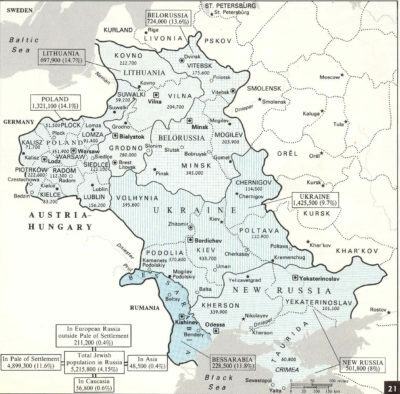 How One genealogist prepared for trips to Poland, Ukraine and Belarus using the JRI-Poland.org Website. Come learn about the best ways to use the database at JRI-Poland.org to expand your research for Polish, Galicianer and even Belarussian research from a veteran user of this special collection of information. This presentation will feature stories and examples from 23 years of experience volunteering to help others with the vital records found in the Polish State Archives today. Examples will include Robinn's recent experiences at a Reunion in Poland for the descendants of the Jews of Lublin, and suggestions for preparation for a trip to this year's IAJGS Warsaw Conference. Robinn Magid is a long-time board member of JRI-Poland and an active member of the San Francisco Bay Area JGS. Robinn serves as the lead co-chair of the forthcoming IAJGS conference. Robinn recently received a medal from the mayor of Lublin, Poland, her grandmother's hometown, for her work to develop and inspire the cultural identity of the city upon the occasion of its 700th birthday. She has traced her family in Lublin into the early 1700's so far. Stephen will give a presentation about a tracking down a lost branch of his father's CARO family from Chodziesen, a town in Prussia, with diversions to mid 19th century England and Australia, and with a particular focus on the compelling story of a new "half" second cousin twice removed caught up in the Shoah. 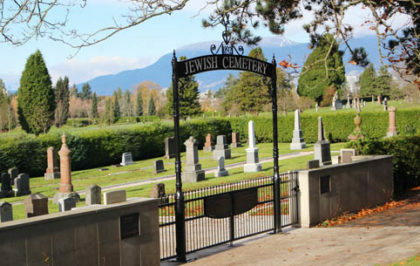 The JGSBC will hold its annual General Meeting on December 5, 2017 at 7:30 pm at Temple Sholom, 7190 Oak Street, Vancouver, BC. All members in good-standing (dues paid for 2017/2018) will be eligible to vote. The meeting will be followed by our annual Channukah party. For the November JGSBC meeting, we will be discussing a new cemetery project. Schara Tzedeck Cemetery is undertaking a project similar to the last one, to trace the families of people who bought or reserved grave plots and then moved away or for other reasons never used them -- could just be an outbreak of immortality! If we get information in time, we can dig in (as it were) at the meeting -- bring your laptop, if you have one. We can also discuss ongoing genealogy puzzles, if time permits. Joel Weintraub, emeritus Biology Professor at California State University, long-time genealogist and volunteer at the National Archives and Records Administration, will present his latest talk. 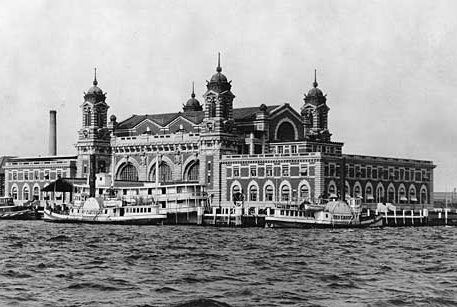 Ellis Island, the main immigration station into the U.S., was most active from 1892 through 1924, with about 70% of immigrants to the U.S. passing through there. Prof. Weintraub will discuss the history of the Island including the Wall of Honor, and show the Ship Manifest forms of the US Immigration Service. The pressures of the "Great Migration" eventually led to immigration quotas and he will talk about how this affected the Island. He will debunk the persistent myth of name changes at Ellis Island. Twenty percent of immigrants ended up on detention sheets, and he will reveal where those can be found. Finally, with case studies, he will show us how to use all five of the ship name indexes. An open discussion of genealogical road blocks as well as recent breakthroughs. We'll attempt to provide useful suggestions to get past those research obstacles. We'll also hear about some interesting discoveries. Most people are familiar with timelines from taking history in high school. Genealogists, however, can utilize this seemingly commonplace tool to very good effect in their research. Need to know how your ancestor got from one place to another? Trying to sort out several different individuals with the same name? Wanting to understand how your ancestor fit in with major and minor historical events? Come learn how timelines can help answer these and a number of other family history research questions! Mary Kathryn Kozy has been working on her own family history for over 35 years. She currently serves on the board of the Jewish Genealogical Society of Washington State, maintains two USGenWeb sites, indexes for FamilySearch Indexing, and speaks to many groups in the area. She holds bachelor’s degrees from UW in both Zoology and Information Technology & Systems and has completed the ProGen program with an eye toward certification as a professional genealogist. Coral is visiting us from the Island to continue her story that she began in October last year. Her discoveries began with a family 'bombshell' - A secret her Grandmother thought she had forever concealed, but was eventually revealed but not without a major road block and several twists and turns. The magic of genetic DNA testing ultimately revealed the answer and so much more. A genealogical adventure her Grandmother would never have imagined. The second part her story focuses on the struggles of her family to come to Canada, how they left Latvia and the tragedy that followed as well as a bit of added history. Don't worry if you missed the first part, there will be a quick recap to get you caught up on the family mysteries and more! Three members will each present a short talk on genealogical and resources they discovered in 2016. Earl Lesk will talk about Naturalization papers and Canada Census records. David Scriven will talk about a branch of his mother's family he found in newly-released records and how some unusual annotations confirmed their fate. Stephen Falk will reveal why Rosa, the sister of his great great great grand mother Babette SILBERSTEIN was identified in early 19th century birth records with the maiden name BLÜHDORN. Jews in the Russian Empire were mostly restricted to Poland and the Pale, which initially consisted of the vice-regencies of Belorussia, Bessarabia, Lithuania, New Russia, and Ukraine with Poland being incorporated by the 1870s. Hal's presentation will cover the history of the Pale from its creation in 1791 to its dissolution in 1917 and how the many phases of its existence such as confinement, repression, enlightenment and the progroms affected the lives of the Jewish population. Hal Bookbinder is a former president of IAJGS and currently serves on the Board of JewishGen. His areas of interest include Jewish history, finding missing relatives, European border changes, immigration, citizenship and safe computing. In our first meeting of the New Year we'll share some of the discoveries and brickwalls of the year past. Bring your computers. Michael Schwartz, our speaker this month, is Coordinator of Programs and Development at the Jewish Museum and Archives of BC. The JAMBC actively pursues innovative ways of making Jewish community history come alive. Through online exhibits, walking tours, and frequent special events, the organization has undergone a period of reinvention over the past three years. In this talk, Michael will share reflections on this period of transformation and previews of further innovations the JMABC plans to introduce in the coming years. 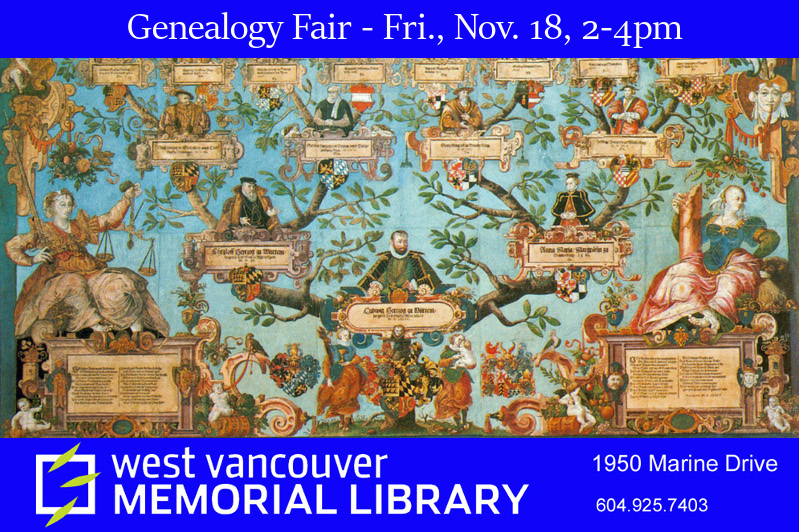 JGSBC, the BC Genealogical Society, Klahanie Research and the West Vancouver Memorial Library will be running a Genealogy Fair on Nov 18 in the Main Hall of the library. Experts from these groups will be there to help you with your research and teach you about the wide range of online and print resources available. This is your chance to dig into topics such as English, Scottish, Irish, First Nations, Eastern European and Jewish genealogy as well as BC archival research and DNA genealogy. Coral is visiting us from the Island to tell about her research into her family's history. She writes: "Initially, all I had was a piece of paper with a few names and huge gaps in what was a pathetic looking family tree. My first step in filling in the blanks was to send off information requests, to various family members. When my Dad received his request, he was prompted to tell me what he thought was a family 'bombshell' - A secret my Grandmother thought she had forever concealed, but was eventually revealed but not without a major road block and several twists and turns. The magic of genetic DNA testing ultimately revealed the answer and so much more. A genealogical adventure my Grandmother would never have imagined." Part 1 of this story focuses on Canada, while part 2 (coming in Spring 2017) focuses on Latvia and the Ukraine and Crimea. The 36th meeting of the International Association of Jewish Genealogical Societies has just taken place in Seattle. Those who attended will share what we heard and what we learnt. 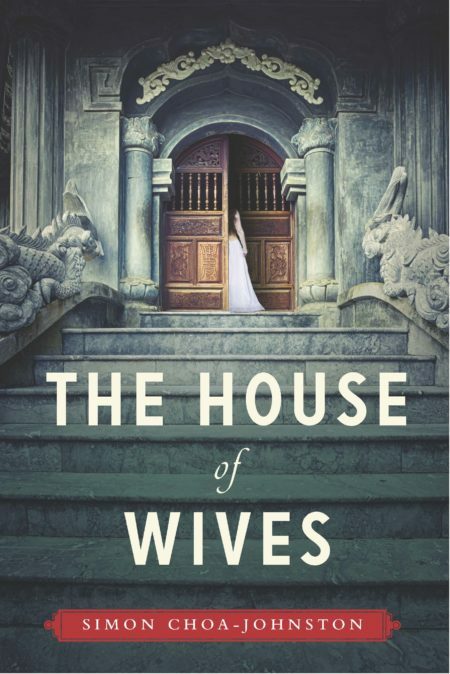 Simon Johnston will present a talk on the historical background of his book "House of Wives"
Simon has just published his historical novel The House of Wives, inspired by the lives of his Jewish ancestors. His book follows the life of a young Indian Jew who leaves his wife behind in Calcutta as he goes to Hong Kong to make his fortune in the early opium trade. He remains there, falls in love and starts a relationship with a young Chinese beauty, the daughter of his business partner. Then his wife arrives from Calcutta. This is the story of two remarkable women determined to secure a dynasty for their children in the tumultuous world of 19th century Hong Kong. Simon is a playwright, director and now novelist and lives in the Vancouver area; for more information about Simon see his website or his FaceBook author's page. 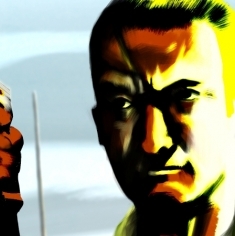 Tzipi Mann will give a talk and present the film Codename: Rafiach. The Rafiach, an 'illegal' ship transporting 785 Holocaust survivors from Yugoslavia to Palestine, foundered during a storm off the rocky coast of the Greek island of Syrina. While many survived under heroic circumstances, an unknown number were lost. The film, part animation, is the story of the voyage, the members of the Jewish Underground who risked their lives to smuggle people into Palestine and how some of the survivors made their way in the world. Tzipi Mann is the daughter of two of the survivors and was a driving force behind the making of this film. Earl Lesk will discuss the immigration of both sets of his grandparents from Russia to Canada at the turn of the Twentieth Century. The talk will focus on the genealogical resources used to glean the information about Earl’s family history. 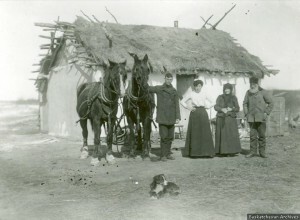 Earl will cover the time period from their lives in the Pale of Settlement (within the Russian Empire), their immigration to Western Canada, and their new home on the Jewish Agriculture Colonies in Saskatchewan and in Winnipeg. Each set of grandparents experienced a very different Canada as the three Lesk brothers and their families settled in Winnipeg in 1904 and set up their first businesses while the Goorevitch family became farmers. Pat Johnson has served on the editorial board of the Jewish Independent for over 20 years and has written numerous articles on Jewish topics. In this presentation, Pat will provide an overview of the migrations that have most affected Jewish life through the last several centuries and try to comprehend some of their historical causes.